National Strength and Conditioning Association C.S.C.S. Brian is the owner of CrossFit Explode, where he trains an array of athletes. He is a 2003 graduate of West Chester University where he obtained a Bachelor’s degree in Exercise Science. Brian has his Level 1 CrossFit certification and is certified by the National Strength and Conditioning Association as a Certified Strength and Conditioning Specialist. He began training himself and clients in CrossFit late in 2009. 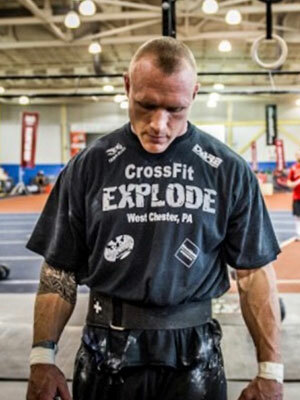 In early 2010 Brian placed 1st in the 2010 CrossFit Games PA, MD and DE sectional. In high school Brian excelled in football and wrestling. After high school Brian went to Kutztown University for Rugby and in 1999 traveled to Ireland to play for the USA in the Student Rugby League World Cup. While in college Brian was selected to the Mid-Atlantic Rugby All-Star Team five years in a row. Since high school and up to 2004 Brian also enjoyed a competitive career in amateur boxing. Through all his competitive experience in sport Brian cites his training off the field and out of the ring, as his key to success.